New players are entering the commercial space industry en masse, bringing much-needed fresh blood to an industry long dominated by incumbent aerospace primes and underfunded government agencies. Thanks largely in part to SpaceX, the industry is the midst of a major overhaul. New stakeholders with novel business ideas and trends toward commercialization are presenting incumbent aerospace companies with major challenges. As it stands, 2016 is poised to be the year that companies from the startups to big box retailers make major strides in space. In spite of its recent explosion, SpaceX’s Falcon9 showed the world a spacecraft can, in fact, be reused, spurring venture capitalists to report an increase in investor confidence in space-based applications, thanks to the fully intact landing back in December. Elon Musk has stated that reusability is “the fundamental breakthrough needed to revolutionize access to space.” Ultimately, this milestone will cut costs, as in hundreds of millions per launch, allowing the possibility for invested dollars to stretch even further beyond Earth’s orbit. Though SpaceX remains a major fixture in the headlines, a new crop of smaller innovators are poised to make some serious waves in the extraterrestrial landscape. Spire: A startup that builds lightweight cubesats weighing that monitor weather data from low-orbit. The company currently has four miniature satellites in orbit, and is aiming for a constellation of 100+ for more comprehensive coverage of global weather events, shipping patterns and rising sea levels. With this increased level of data access, Spire, and others working in this field are hoping to better predict adverse weather events and gain deeper insights into what can be done to combat climate change. SpacePharma: A company involved in a number of research projects focused on different applications involved in a number of studies using microgravity- particularly in the realm of medical research. 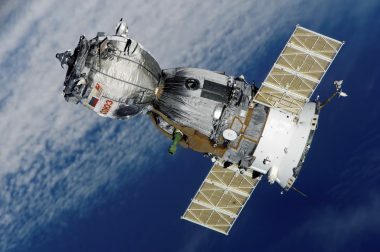 OneWeb announced last year its plans to launch a fleet of 900 satellites, in a partnership with incumbent Aerospace giant, Airbus. The partnership is aimed at bringing affordable internet access to remote locations around the world by 2018. Planet Labs currently has its sights set on asteroid mining, as well as services like in-space refueling, power generation and manufacturing equipment to be used in space. The goal is to find valuable resources in space that would sustain long term missions, as well as stimulate the economy here on Earth. Planet Labs plans to find and harvest valuable minerals from asteroids, and actually process them in space. Deep Space Industries is another asteroid mining company with the long-term goal of creating an on-site supply chain of products in space, using materials harvested and processed with complete independence from Earth.